In any given year, close to one in three Americans volunteer with a local organization and get involved in various activities that benefit their community. Community leaders and policy makers are interested in levels of community engagement because there is a presumption that a community's civic health can translate into community wealth as a result of local residents working together to improve their community's economic sustainability and quality of life. 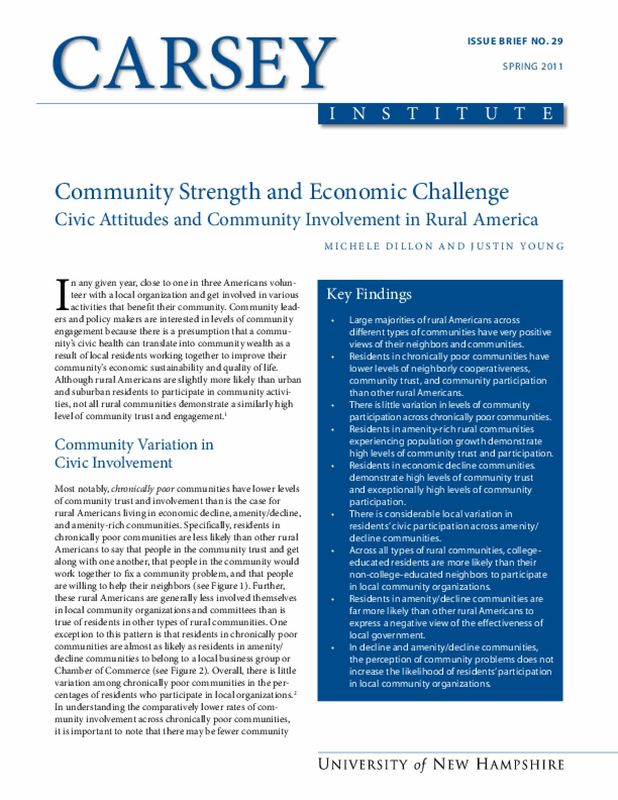 Although rural Americans are slightly more likely than urban and suburban residents to participate in community activities, not all rural communities demonstrate a similarly high level of community trust and engagement. Copyright 2011 by The Carsey Institute. All rights reserved.